Electric scooters from Bird Rides, Inc. can still be rented in Cambridge, one week after the city's deadline for the company to leave. Whether the scooters can be found is another matter. Over a three-day period this week, WBUR found — or, rather, didn't find — more than two dozen "ghost" scooters advertised in the Bird smartphone app that did not exist in real life. Other users encountered the same problem. 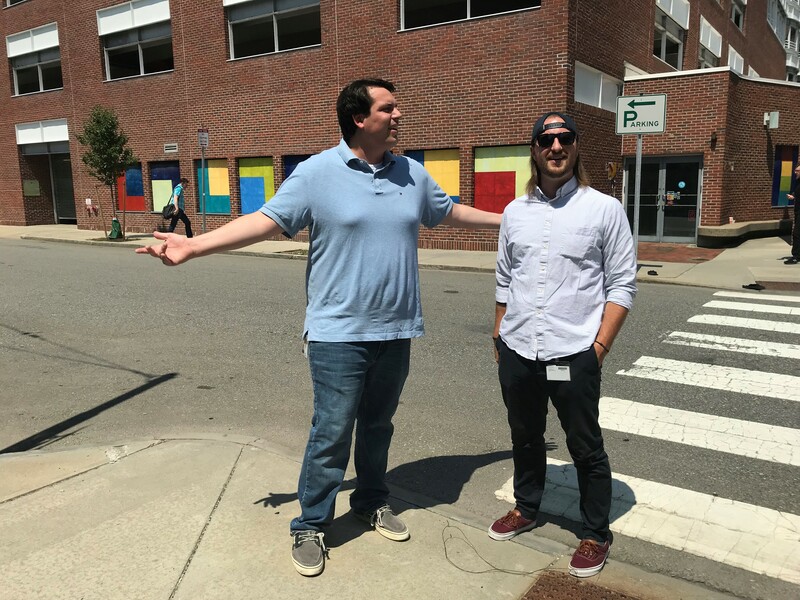 "It’s not accurate," Carl Pieri said of the app, while looking unsuccessfully for a scooter near the HubSpot office where he works. "I don’t know where they all are, but they’re not here." The app is supposed to use GPS signals to guide a user to a scooter's location. As a backup, the app can trigger a scooter's alarm so that it can be tracked by sound. On a recent afternoon, Tom Barbo walked in circles around the point where a scooter should have been — but wasn't. "We’ll bing it, right? We’ll chirp the alarm," he said. "And, theoretically, this should be right across the street from us right now — somewhere over there." The scooter was nowhere to be found, nor were 16 others that the Bird app displayed as being nearby. A Bird spokeswoman did not respond to questions about the phantom scooters. One possible explanation is a technical glitch; another is gamesmanship. The Cambridge Department of Public Works has been impounding scooters. Sending crews after scooters that don't really exist could be a form of trolling the city. "I like that theory a lot," Barbo said. "I’ve never seen more Birds than this in Cambridge and Somerville put together, so that definitely makes me think there could probably be some ghost pings; there’s no doubt about it." Cambridge Mayor Marc McGovern suggested "ghost pings" could hurt Bird's business. "That doesn't sound like it's a great thing for them, if their customers are looking for scooters and can't find them," McGovern said. Yet Doug Kwon, led astray by the Bird app while looking for a scooter in Central Square, said riders like him are very forgiving. "I don't think it's going to hurt their customer base," Kwon said. 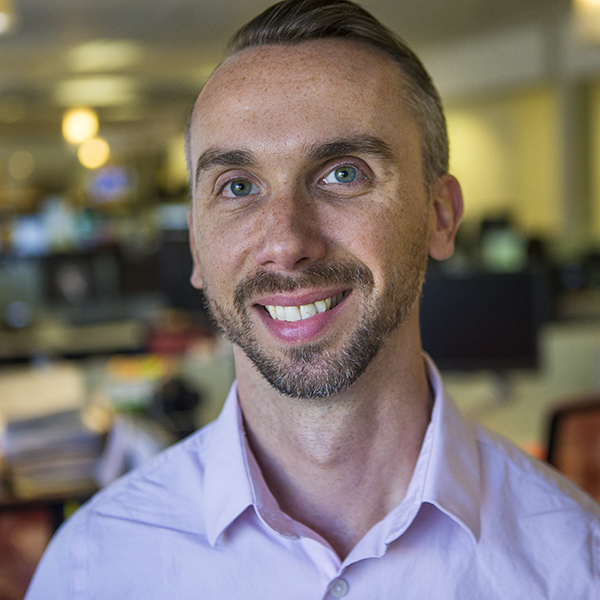 "I think a lot of the people who are interested and have heard about Bird and other similar services in the city are kind of early adopters who are pretty tolerant of the initial technical glitches that often happen with the first implementation of apps." Bella Valentini's lunch-hour search for a scooter was a bust, but she, too, said she remains a "Bird evangelist." "They’re really fun," she said. "They’re actually quite fast. They’re not too expensive. I think the mayor should definitely allow them." This segment aired on August 10, 2018. 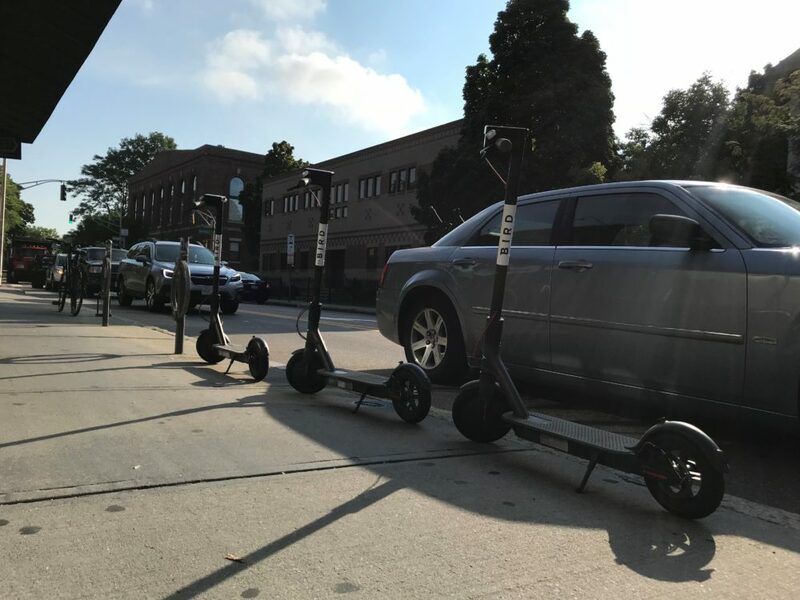 Radio Boston: Can Bird Scooters And City Officials Find Common Ground?